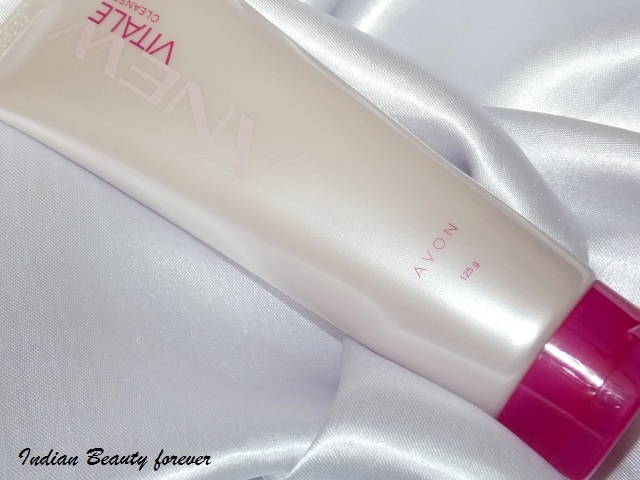 I am going to review Avon Anew Vitale cleanser in this post. Avon had launched this Anew Vitale range last month that includes a cleanser, night cream and a day cream. It is available since March onwards. 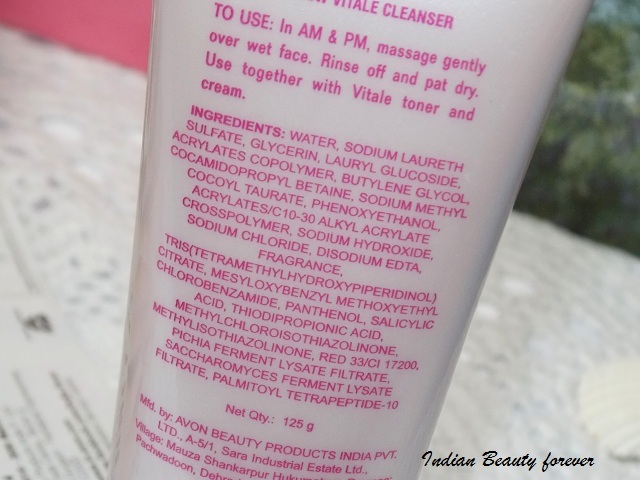 Avon Anew Vitale cleanser is priced at 799 Rupees for 125 g tube. The cleanser looks like clear gel that emits mild fragrance and lathers just like the shower gels with slight runny consistency. Neither too foaming nor too dry. I tried it once and find that it requires a tiny blob of this cleanser to complete the wash and after that, the face didn’t look dry or stretchy. There was no oil especially on my T zone but as compared with other cleansers, after using this my skin gets oily sooner. This was enough for me to know that it is not the best choice for my combination/oily skin especially when the weather’s getting warmer. On the other hand my mum used this and it suits her mature dry skin very well. Its gel like hydrating formula keeps the skin hydrated after rinsing it off there weren’t any signs of dryness, at least due to the cleanser. After the Dove soap, this cleanser is the one that she liked for her skin type. As per the claims, pores were reduced slightly but nothing really impressive. Overall, it can be a good to try cleanser for dry to normal skin or for mature skin. 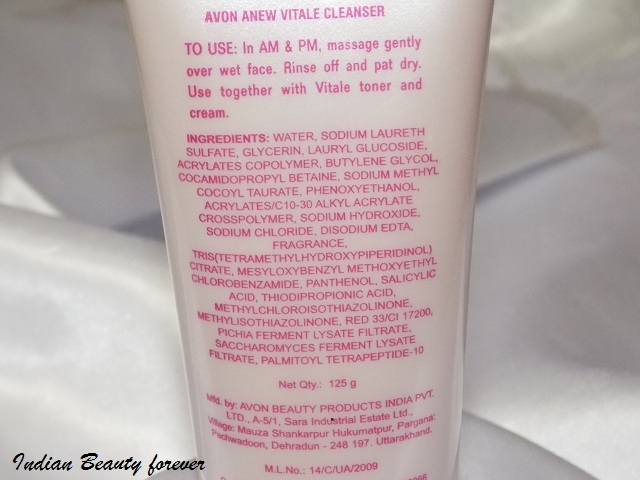 Take: Avon Anew Vitale cleanser can be a good to try option for dry mature skin (including normal skin) as its hydrating formula and gel texture cleanses without over drying the skin though on the other hand, it may not be the best option for oily to combination skin.